It has 32GB internal storage . 4100mh battery life & 2GB RAM. Its front camera is of 5mp & 13mp back camera. Its best for selfies & photography. Battery life is good & lasts up for 2 to more days without use. I bought this cell phone recently got a cash back offer on this cell phone. I bought this cell phone because of cheap price and average display size. In low price this phone offers good ram and good internal storage. The finger print scanner is very responsive, unlocks the phone within a second. It has a inbuilt app lock feature. value for money from my viewpoint. Satisified with this redmi product,at this price the features are cool,good processor and huge space and great camera quality. 13 Pricebaba users have written their experience with Xiaomi Redmi Note 4 2GB RAM. 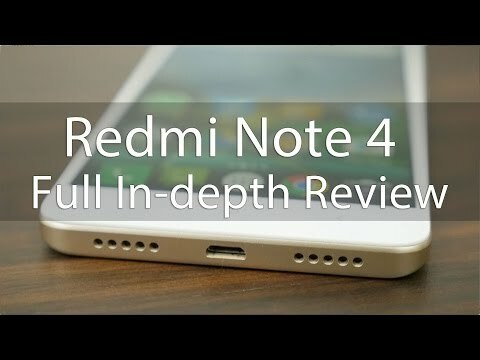 If you own Xiaomi Redmi Note 4 2GB RAM, please do leave your feedback too. Redmi Note 4 is the latest member of Xiaomi’s Redmi series succeeding the Redmi Note 3. The phone comes with a well build aluminium unibody. The Redmi Note 3 sold in huge numbers and Xiaomi is expecting same with the Redmi Note 4 too. The Redmi Note 4 sports a 5.5-inch Full HD IPS LCD display with a resolution of 1920 x 1080 pixels. It is powered by one of the most power efficient processors, the Snapdragon 625. This particular Redmi Note 4 comes with 2GB of RAM and 32GB of inbuilt storage which is further expandable up to 128GB with a MicroSD card. The Redmi Note 4 packs in a mammoth-sized 4100mAh battery. Thanks to the latest 14nm FinFET technology which is being used in Snapdragon 625 processor, the Redmi Note 4 is capable of providing long lasting battery backup. The Redmi Note 4 also houses an IR (Infrared) sensor which lets you control your home appliances such as Television and AC. The Redmi Note 4 features a 13MP rear camera with a dual-tone LED flash and PDAF (Phase Detection Autofocus). On the front, it features a 5MP snapper for capturing selfies. The Redmi Note 4 is a dual SIM phone with a hybrid SIM slot and supports 4G VoLTE. Talking about connectivity, the phone ships with Wi-Fi, Bluetooth, GPS, 3.5mm audio jack, and microUSB 2.0 port. The phone runs MIUI 8 based on Android 6.0 Marshmallow and is upgradable to Android Nougat (7.0). It is available in three colour options - Gold, Grey and Black. It is also the cheapest phone with Snapdragon 625 processor, which is famous for providing a magnificent battery performance. Other smartphones which are powered by the same processor are Lenovo P2, Moto Z Play, and Asus ZenFone 3. Also, click on comparison links below to find out how its stands against other smartphones. Ans: Yes, Redmi Note 4 supports VoLTE out of the box and should work well with Jio network. Ans: Yes, this phone has a Hybrid second slot. Ans: Redmi Note 4 uses the standard Micro USB port for data syncing and charging. Ans: Redmi Note 4 is upgradable to Android 7.0 Nougat. One can expect future software updates of Android on the phone. 5. How is the camera for selfie? Ans: Redmi Note 4 comes with a 5MP sensor for selfies and it performs decently considering the price range. Ans: No, the 4100mAh battery of the Redmi Note 4 is not user removable. 8. How much time does Redmi Note 4 take to charge? Ans: Redmi Note 4 takes around 2 hour 47 minutes to fully charge from 0 to 100%.